The wife and I are big fans of local restaurants that get it right, and Kalamata Family Restaurant is one such place. To long-time Lockport residents, Kalamata is located in the former John and Mary's Subs building down by the Dunkin' Donuts on Transit. They open at 7:00 a.m. every day, and they offer take-out as well as seated dining. From time to time, I see complaints about the service at Kalamata on the Internet because the Internet is where people go to complain. I am going to venture a guess that the staff at Kalamata got one person's order wrong during one of the busiest times of the day and that person felt compelled to complain about it. That is okay, because no one ever gets it perfect. But if you are looking for as close to perfect as you can get, then you are looking for Kalamata. The food is served in generous portions and has a lot of taste to it. I prefer their breakfast menu, which you can have all day, but I have had a little from every part of the menu and have never been disappointed. From appetizers to entrees, Kalamata gets it right and no one can complain that they did not get their money's worth. If you want to talk about the best value for great food in Lockport, then once again you are talking about Kalamata. My wife and I regularly have two breakfasts and drinks for less than $20. A friend of mine and I used to frequent Kalamata for lunch and we never spent more than $20 for the two of us. I am always shocked at how much you get at this restaurant for what you pay. The menu is a combination of Greek and American dishes, and I have yet to find a bad item on the menu or see someone complain about what they ordered. The way the food is prepared maximizes the flavor, and I have noticed that there is very little waste when it comes to Kalamata food. The steaks are lean, the sauce is distributed perfectly, and there is very little garnish on the plate. At Kalamata, it is all about food and I can respect that. The staff at Kalamata are always friendly, and always overworked. If you go to Kalamata during breakfast, lunch, or dinner, you will find yourself waiting for a table. I am always amused at people who get angry when a restaurant is so busy, because they forget that the restaurant is busy because it is a quality place. The staff at Kalamata works hard to accommodate the traditional meal rushes every day, so just be patient and you will get what you need. The dining room is comfortable, the staff will sit and talk with you if they have time, and the food is outstanding. When you add in the incredible value you get at Kalamata, you have a place that you can take the entire family. 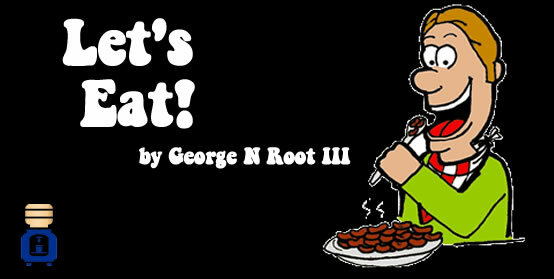 George N Root III is a guy who likes to eat. Follow him on Twitter @georgenroot3, or send him a message at georgenroot3@gmail.com.